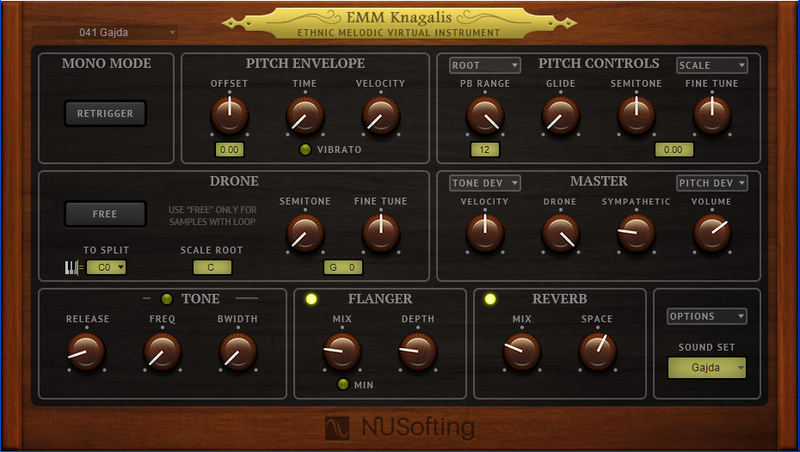 NUSofting has released the EMM Knagalis 2.0 update for all platforms. [AU, VST, 64-bit, 32-bit, Mac, Windows]. sound set also includes many other ethnic instruments from the world stage. many cool bagpipes, Aulos, HurdyGurdy and flutes. New sync mode for Drone layer, now works better for bagpipes. Various small bugs fixed, like display and menu updates. 3 New instruments added to the library. Possibility to choose the path to the samples data, on Windows. Better compatibility with latest OSs, Mac and Windows. 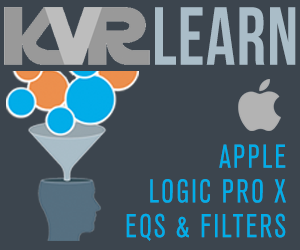 Fixed bugs with Garageband and Logic. 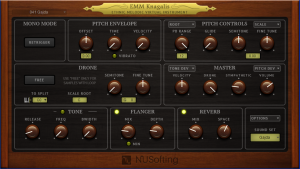 Price US $48.00 - Upgrade available for owners of Knagalis 1.x at US $9.00.